Belt drives are used for controlling engine timing and for driving accessories. As a systems supplier, we develop and manufacture tensioner and idler pulleys, hydraulic and mechanical belt-tensioning systems, as well as alternator decoupling devices. Operating absolutely maintenance-free, these systems are perfectly matched to each other and set the standard for durability. 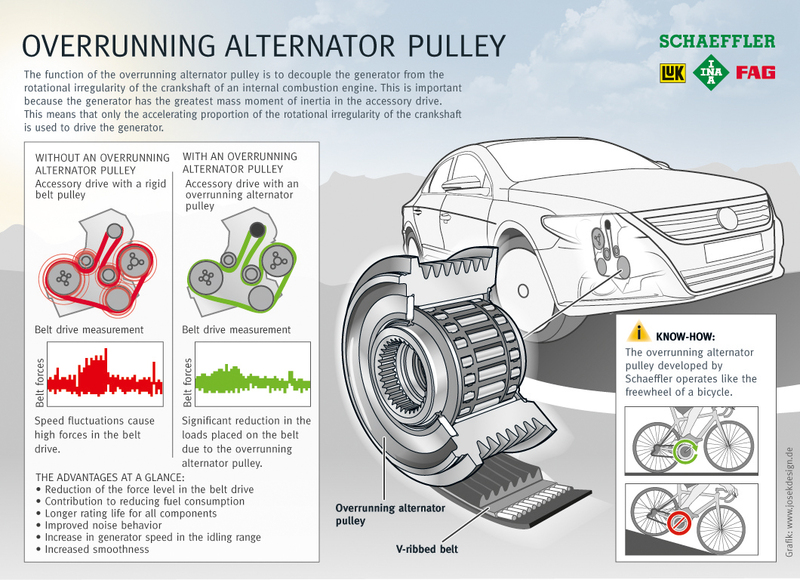 The belt-driven starter generator represents a highly effective approach to hybridizing the drivetrain. This device allows the engine to operate in a comfortable and efficient start/stop mode, thereby making a significant contribution toward reducing fuel consumption and emissions. 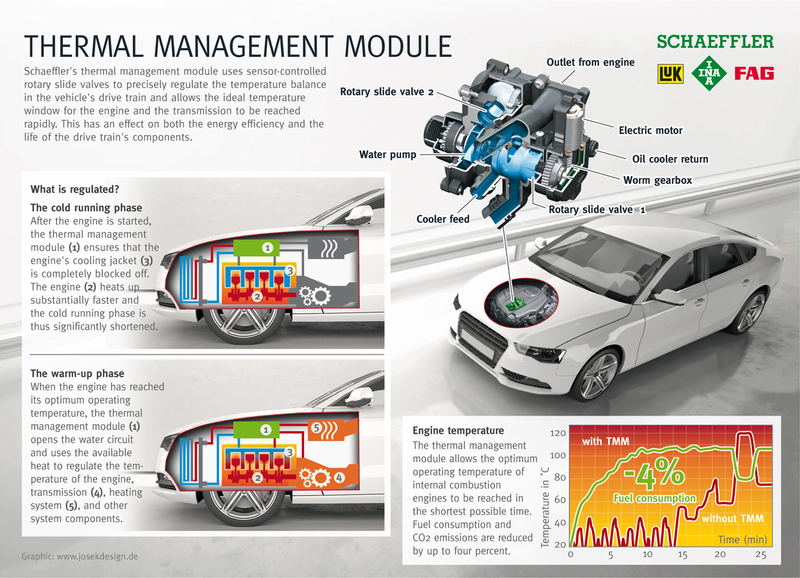 The thermal management module is a key to energy-efficient engine temperature control.